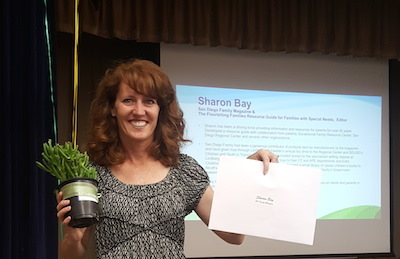 Congratulations to Sharon Bay recipient of the Above and Beyond A ward, which honor individuals who have contributed “Above and Beyond” the usual expectation in the area of Special Education. These awards are given out by the Community Advisory Committee for Special Education in collaboration with San Diego Unified District each year. 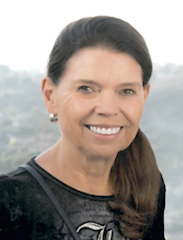 Sharon is the Owner and Publisher of the monthly parenting magazine, San Diego Family and the annual Special Needs Resource Guide, Flourishing Families. Sharon received this award due to her exemplary commitment to improving educational outcomes of students with disabilities.